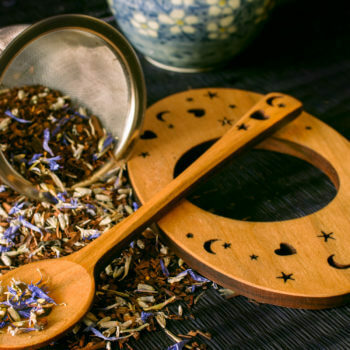 Inspired by classic Victorian style tea sets, this “nest” style tea infuser has a mesh cone that drops down into both teapots, teacups, and mugs, ensuring a good tea infusion. 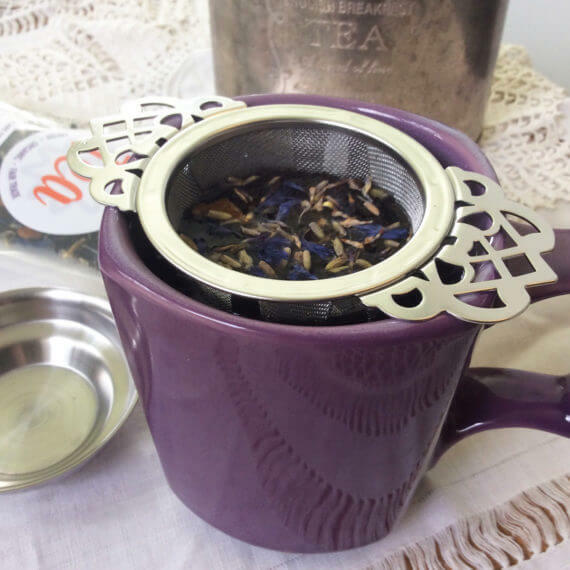 The mesh keeps most of the bits from going into your water and leaves plenty of room for the tea to expand, and the pretty handles are also practical in making it easy to get the infuser in and out of the hot water. Includes a drip cup for easy tea time cleanup. Works great for my new loose leaf teas. Easy to clean. Perfect for one cup or more. Works great, made well and it's beautiful! What more could you want? 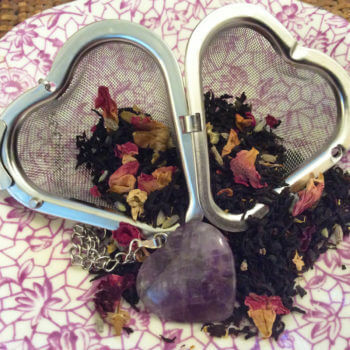 It's a wonderful addition to my tea brewing supplie and I simply love it. 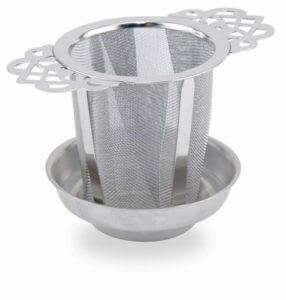 The fine mesh of this strainer filters out most of the leaves and bits. It’s wide enough to rest on the rim of my very large tea cup! I’m satisfied with this purchase. 4.5" W x 2.75" H. Stainless steel. Best hand-washed, do not microwave.